We are adding Online order service to Golden China Restaurant in Norfolk VA. You can now online order your favorite Chinese or Japanese dishes for take out and pick up. We also have menu for party and catering. Located at 9645 First View St., Norfolk VA 23503, our restaurant offers a wide array of authentic Chinese and Japanese dishes, ranging from traditional dishes such as Lemon Chicken, Beef w. Broccoli, Shrimp Egg Foo Young to new style entrees such as Bourbon Chicken, Lake Tung Ting Shrimp and Hawaii Five "O". Try our food and service today. 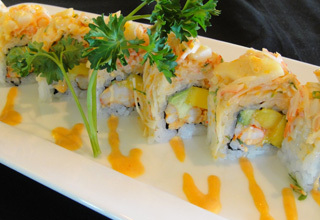 Come in for a Chinese or Japanese Lunch Special or during evenings for a delicious Chinese or Japanese dinner. You can also online order your favorite chinese and Japanese food for take out. Our goal at Golden China Restaurant is to provide an unforgettable dining experience for all our patrons. Copyright © 2008 . All Rights Reserved. Powered by E-Restaurants of goldenchinaVA.com.